Facing internal challenges and a lack of confidence from his own Social Democrat (SPD) party, former European Parliament president Martin Schulz has resigned from his post as Foreign Minister just 36 hours into Germany’s new ruling coalition. Schulz announced his resignation Friday only a day an a half after he was appointed to the ministerial position as part of the new grand coalition deal between the SPD, Chancellor Angela Merkel’s Christian Democratic Union (CDU) and the Bavarian Christian Social Union (CSU) Kronen Zeitung reports. According to his resignation letter, Schulz cited internal disputes within the SPD as the reason for his actions. 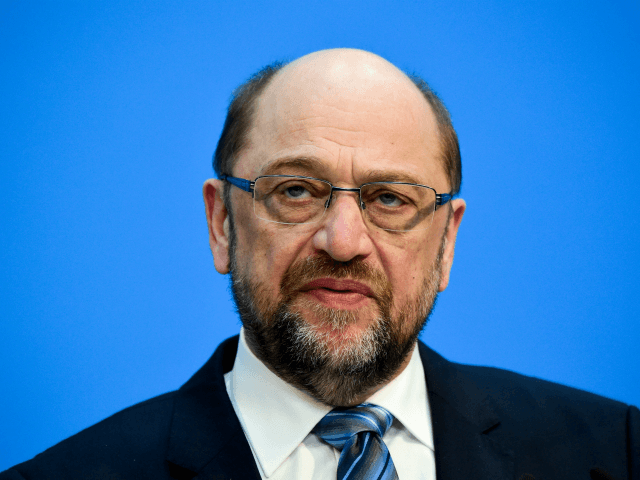 ” I hereby declare my renunciation of joining the Federal Government and at the same time sincerely hope that this will end the personnel debates within the SPD,” Schulz wrote. Sigmar Gabriel, former leader of the SPD and former Foreign Minister commented that many in the party had been “disrespectful” to Mr Schulz. Many within the SPD, who only a year ago were massively supportive of Schulz, turned against him when he quit his position as chairman of the party to take up the Foreign Ministry position on Wednesday. Others, like the youth wing of the party, have repeatedly come out against any coalition deal with Angela Merkel. Kevin Kühnert, the leader of the Young Socialists, continues to protest the coalition and have reportedly sought the help of the left-wing Momentum campaign from the UK. Momentum has been a subject of controversy both in and out of the Labour Party. Earlier this year one of its members made headlines for calling for the execution of U.S. President Donald Trump. Late last year Mr Schulz commented that he expected a “United States of Europe” by 2025 and after being named Foreign Minister, many expected this to be a core part of German foreign policy within Europe. The departure of Schulz has led some to question whether or not Germany will still pursue the same kinds of increased federalisation of the European Union.